6 Cibachrome prints, 100 x 120 cm [39 3/8 x 47 1/4 in.] each. 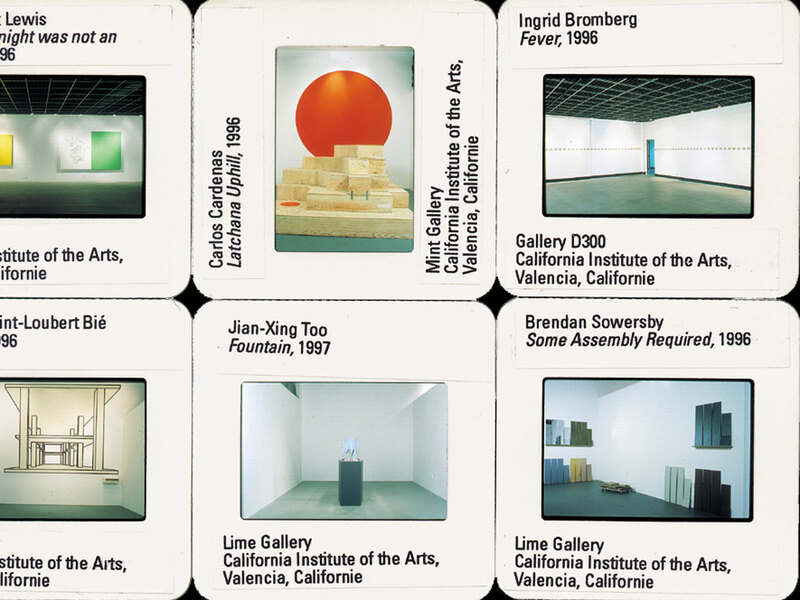 These six, big Cibachrome prints present installation views of exhibitions by Ingrid Bromberg, Carlos Cardenas, Mark Robert Lewis, Brendan Sowersby, Jian-Xing Too, and myself, which took place in 1996 and 1997 when we were all students at CalArts. 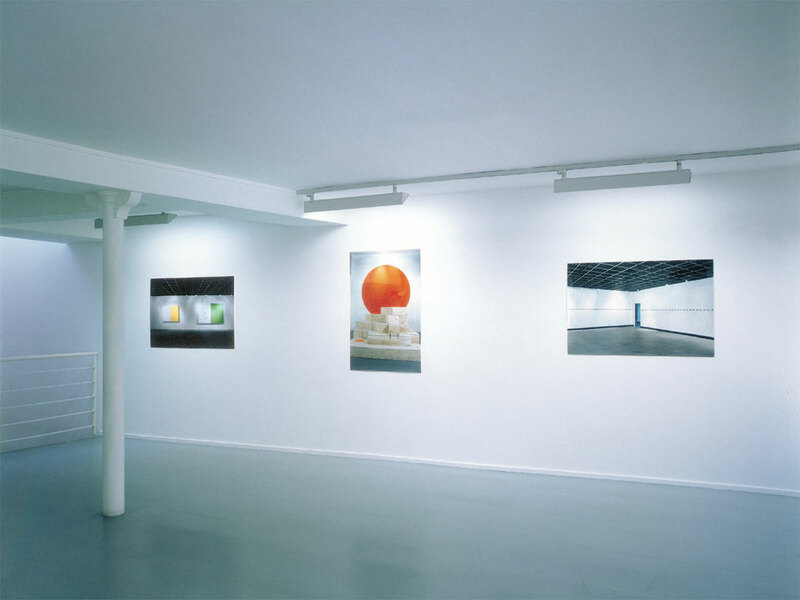 Printed from slides, these photographs were originally taken by myself solely for the purpose of documenting the works. 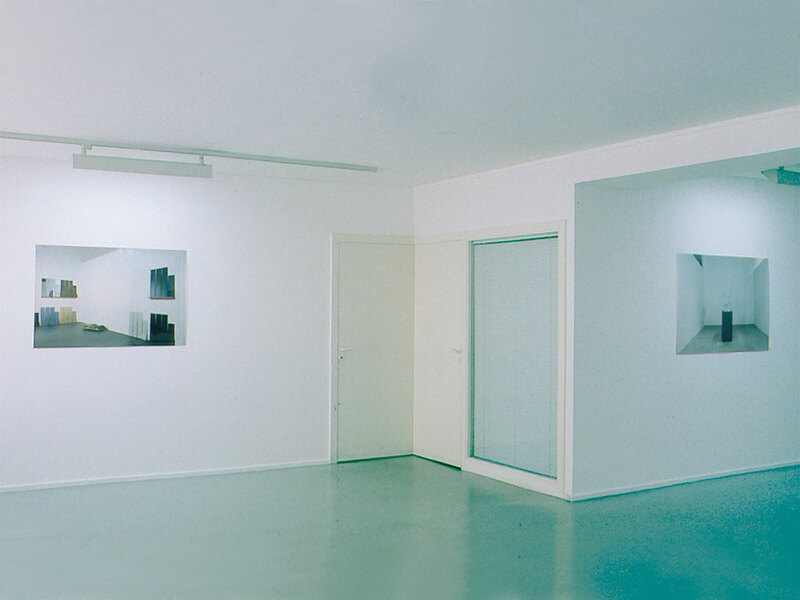 Creating a trompe l'oeil effect of works and exhibition spaces within the exhibition space of Galerie Claire Burrus, factors of scale and printing process seek out the line between a photograph's status as documentation and as work of art.